If you follow me on twitter you will know how hard I tried to get my hands on this duo and how excited I was to get it! I originally saw it on Zoe's Youtube Video and decided that I needed it as it looks absolutely amazing on her, however much to my dismay it was out of stock everywhere, Selfridges, John Lewis, Debenhams AND House of Frazer! Then a few people including Ambi (check out her blog!) tweeted me to tell me that it was back in stock at Boots. Ambi and I had previous been going crazy trying to get our hands on it! So finally it was back in stock at Boots and I quickly placed an order, I chose the deliver to store option as it was free and I live quite close to a Boots store. Within two days I got a text and an email telling me it had arrived so I popped down to the store and picked it up. 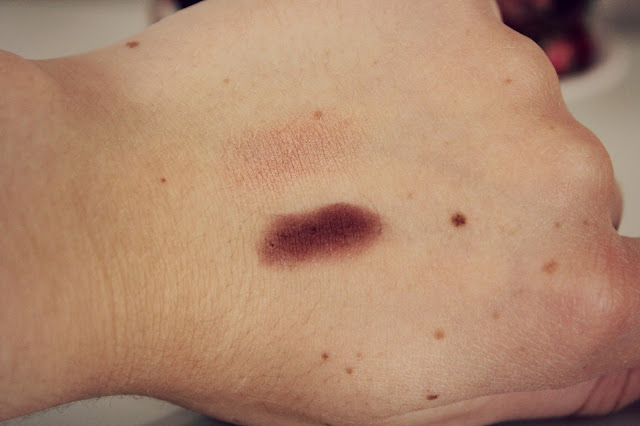 I've been using this almost everyday since I bought it, I was worried that it wouldn't suit me as the darker shade is slightly purpley but it looks absolutely beautiful, the shadows work really well together. I have been using the lighter shade all over the lid with the darker shade on the outer corner blended out, I then just apply some brown kohl liner across my upper lash line. I am so impressed with the quality, the shadows are both super pigmented and they blend together amazingly! Throughout the day they didn't crease or wear off of my eyelids either! 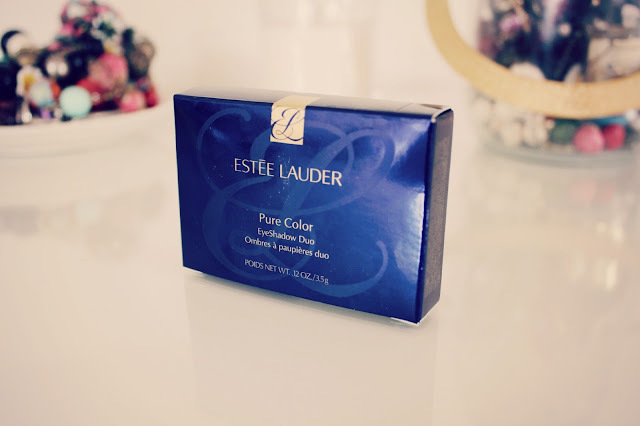 I love the packaging of this and every Estee Lauder product I've tried, the packaging just looks expensive with the gold and the swirly "EL." I was told at my local Estee Lauder counter (by the most patronizing sales assistant who always asks me if I am looking at their products for a "school project." I'm 18 not 8) that this product is being discontinued! Although I don't trust her 100% I would say to pick this up sooner rather than later, just in case it actually is being discontinued. It would be such a shame if it is as it is something I would recommend and have been absolutely loving, I am looking at which duo to get next! This product is being discontinued, the whole line :(! I tried everywhere to get it too! I went into boots and had the most amazing sales assistant search and search online only to say their being discontinued and then actually give me a barely used tester as she could tell I was disappointed about it that I finally got one! 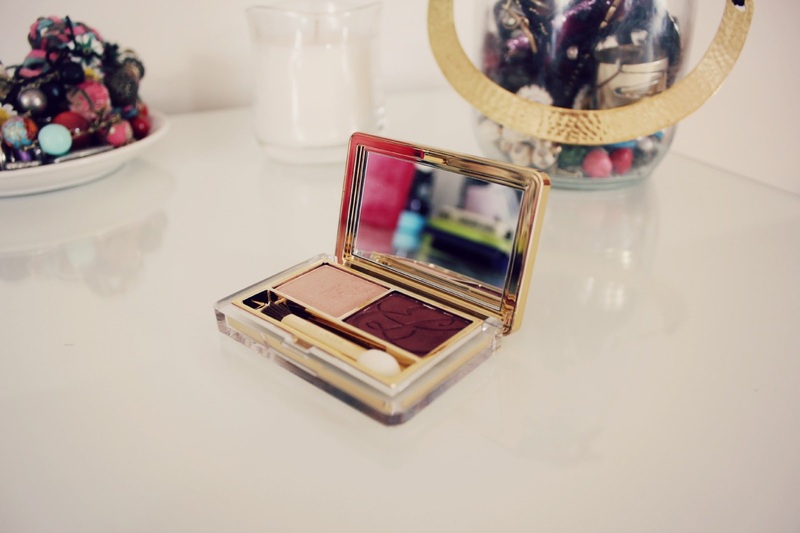 It doesn't have the gorgeous packaging but well worth it for the shadows! Oh my what a gorgeous duo this is. It's a pity it is being discontinued. Such a beautiful duo - always love estee lauder products, their blush in Witty Peach is gorgeous! I'll definitely have a swatch of this next time I'm browsing. 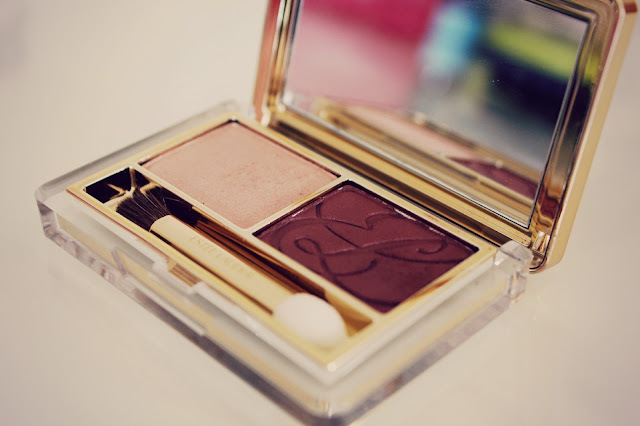 Thanks for the wee mention, ah SO in love with this palette, I'm using mine all the time now. But it seems from your other comments it is being discontinued - just my bloody luck!